The world of technology has touched the horizon. It’s been said the era of information & technology for the years ago. But is it the limit! Not yet. Science is still grooming and every department of life is getting more and more. Increasing technology has improved the status of living lives which ultimately increased the expectation of human beings. This approach let the scientists to explore more and entertain the audience. Every department of life is getting stronger due to automation. We can see the achievement from larger level organizations to simple, daily use home appliances. CNC Milling machinery is one the most typical achievements of modern technology. This machine and its tools have the ability to make the smaller and larger parts of machines and other projects up to least measurement in high accuracy. Milling Machinery has let the manufacturing companies in a new way of development of their businesses and customers trust. End users are more than just satisfied with the finished products for which they ordered or purchased. These machines are absolutely fit for the organizations who are design conscious for their products as Milling machinery has the ability to finish the product in astonishing way. Milling machinery and related tools are now becoming the part of manufacturing plants everywhere in the world. Whether the matter of larger groups of organizations or the small industries are concerned, the ease and accuracy with the quality is right of every industrialist. This has ultimately been sure by the CNC machines. How can one adopt a good quality machine best suit to the business? 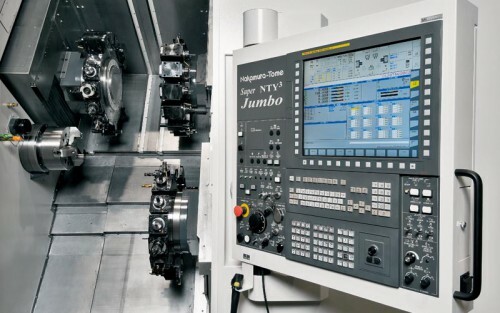 It might be a question in very early stage of introduction with CNC machines but nowadays people has too much awareness with this growing technology and can buy good suitable machines with their businesses domains. But as far as the quality is concerned, Beta Masking has the unique name. One can have a variety of CNC machinery here with high warranty of quality products.